I created this workbook at the behest of a social worker at a state hospital in Texas. Since she was familiar with my autobiography, Daddy's Girl, she felt I'd be the right person to undertake the project. Her test of the book with various girls in care exceeded her best expectations and produced not only dialogue between the girls, but induced several who had previously refused even to speak to open up. The workbook is intended to be used as a tool by anyone (guidance counselors, social workers, psychologists, etc.) dealing with abused young people. This project was very personal to me; I dealt with all the questions I wish someone had known to ask me when I was young. As well, it's had a powerful effect on every adult who's read it. 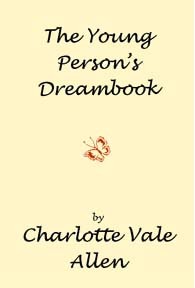 I hope that you'll find the Dreambook a useful tool if you know someone who's been abused.